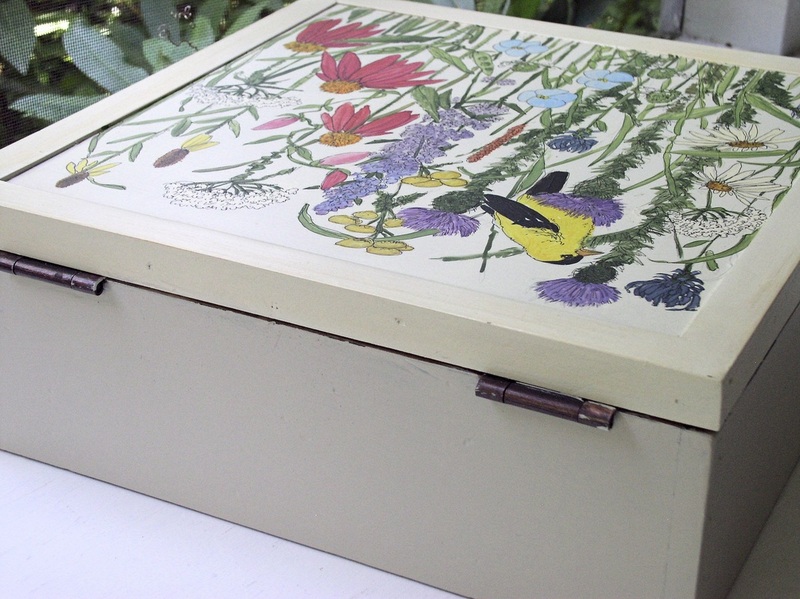 Botanical painted nature box with garden flowers, herbs, and a bird sitting on top of a thistle is custom made cottage furniture for storage by Laurie Rohner. The top is colorful assortment of wildflowers and garden flowers, coneflowers, larkspur, flax, thistle, Queen Anne lace and a sweet goldfinch sits munching on his favorite food, thistle seeds. 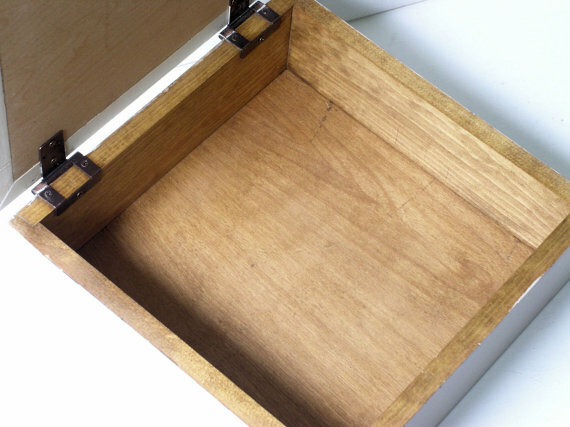 This is a custom made hinged wood box with a combination of high quality furniture grade birch plywood and clear pine. The inside is stained a honey color with a taupe gray for the outside base. The top is a soft white with a frame rubbed with a bit of color. 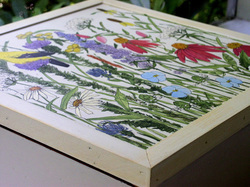 Painting palette: raspberry, lavender, purple, blue, grass green, green, clear blue, light blue, yellow, cream. 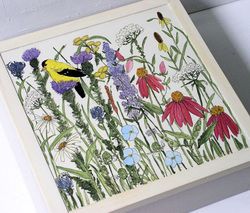 This work ships standard post to the US (priority mail for the US is an additional $38.00). I ship priority mail internationally only to all others. The amount shown is for priority mail to those countries. I ship to all.